Save the Sound has been busy gearing up for the Quinnipiac River Watershed Groundwater Restoration Project. We have been handing out posters and mailing out nearly 3,000 rain garden brochures to Southington residents to urge them to install a rain garden on their property. The project is looking for up to 12 private homeowners in the Quinnipiac River area interested in building rain gardens in their yards. With the installation of rain gardens, this project aims to capture and infiltrate stormwater run-off in order to increase groundwater supplies in the Quinnipiac River Watershed. 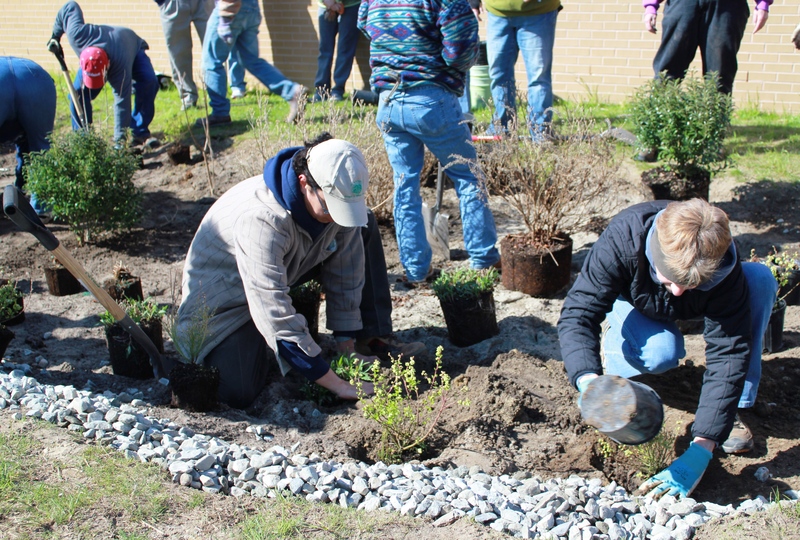 Homeowners that agree to build a rain garden on their property will receive technical assistance from Save the Sound and an incentive worth up to $1,500. 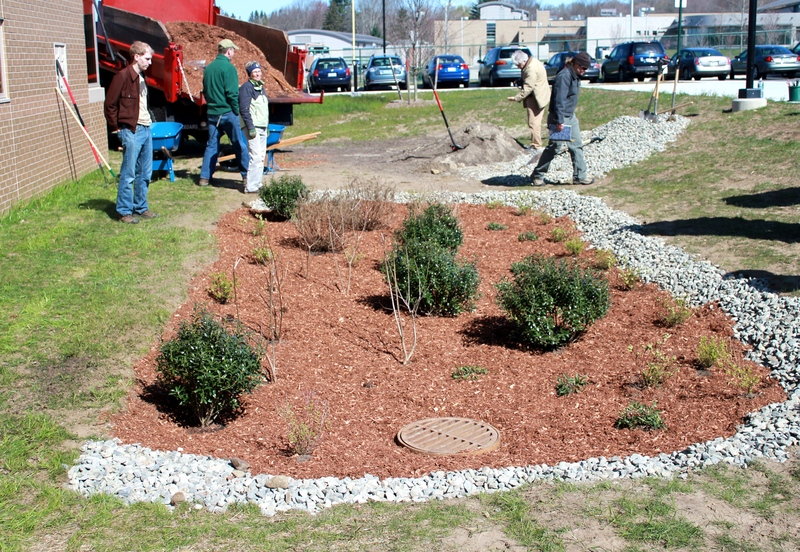 The incentives covering rain garden installation costs are being provided through a grant from the Connecticut Department of Energy and Environmental Protection. “Build a Rain Garden” posters are being displayed in the windows of the Southington Town Hall, library, and other businesses in the area. By flooding the town with posters, we hope that everyone in the area becomes aware of the project and learns how to participate in it. Besides building rain gardens,we are also working on promoting and assessing other green infrastructure techniques that would benefit the Quinnipiac River Watershed communities. Think you want a rain garden in your yard? If you are interested in participating in this project, please contact Chris Cryder at ccryder@savethesound.org or (203) 787-0646 x 127. Not a homeowner but still want to get involved in this project? Save the Sound is looking for volunteers to help build and install the first two rain gardens of the project. Be part of this wonderful hands-on experience with green infrastructure and help us kick off this project successfully! If you are interested in volunteering, please contact Kierran Broatch at kbroatch@savethesound.org or (203) 787-0646 x 113. You can learn more on this project, rain gardens, and green infrastructure by visiting reducerunoff.org.